• Crossroads Farm, $4,902.80 for photography equipment.  Information regarding applying for a grant can be obtained by calling the Foundation office Monday through Friday from 9 am – 4 pm, or by stopping at the offices located at 2 S. Howell Street, Hillsdale, Michigan. Information is also available online at www.abouthccf.org. The HCCF YOUTH was also established in 1991. The YOUTH Advisory Council has an ongoing program for studying the assets, needs, and concerns of the young people of Hillsdale County. YOUTH has a special endowment fund, initially made possible by a challenge grant from the W.K. Kellogg Foundation, to make available grant dollars to benefit and involve young people in Hillsdale County.